Shawn Sloves is the Chief Executive Officer and co-founder of Velocity Ledger, Fundamental Interactions. Prior to joining the firm, Shawn was co-founder and Head of Product & Strategy at Mantara Inc. In his five years at the firm he developed a suite of low latency trading infrastructure products, widely deployed across firms and backed by over $40 million in invested venture capital. Shawn has over 20 years of experience in the financial services industry. Shawn is a pioneer in electronic trading for direct market access and a market structure expert. Mr. Jacobson is the Co-Founder, President and Chief Operating Officer of Fundamental Interactions. He has over 20 years of experience in electronic trading industry. Prior to joining Fundamental Interactions, Mr. Jacobson lead sales initiatives at Mantara Inc, where he pioneered institutional sales channels with several of the largest global prime brokers. Prior to this Mr. Jacobson was a senior sales executive at RealTick, a leading provider of global execution management systems which was owned by Lehman Brothers and Barclays Capital during Mr. Jacobson’s tenure there. Mr. Jacobson earned an MBA from the Kelley School of Business in Marketing and Finance. Eric Hess has over twenty years of experience acting as senior in-house counsel, general counsel or senior management for exchanges, broker dealers, and financial services technology providers. He is the founder of a private equity investment company, a law firm, and a cyber security company. Prior to that, he was the General Counsel for the Direct Edge exchanges, where he successfully managed their dual exchange applications to approval and implemented their supporting audit, legal, technology risk management, and regulatory infrastructures, in addition to closing financing. Prior to that, Mr. Hess was a senior attorney for Lehman Brothers’ capital markets and prime brokerage groups. Kun Luo is the founder of Fundamental Interactions and serves as its Chief Technology Officer and Head of Development. Prior to founding Fundamental Interactions, Kun Luo was the Chief Architect for SunGard Trading Systems, where he led a team of 10 senior engineers responsible for all of Assent’s ATS, algorithms, smart order routers and sponsored access products. In his 13 years of experience with SunGard he also built such products as OMSD (the order gateway for BRASS) and the UMA trading system -platforms which execute over 500MM shares per day. Kun Luo holds an M.S. in electrical engineering, an M.S. in computer information sciences and a B.S. in applied physics. Enzo Villani leads corporate development, focused on business development, corporate strategy, stakeholder communications and aftermarket support. Enzo is active in building the security token infrastructure through his investments and advisory that include: Velocity Ledger, Delaware Board of Trade, Aurora IDEX and Alt5Sigma. He is an advisor to over 20 ICOs in 2018 including Monarch Blockchain, Kind Heaven, Big Data Block, Swarm Fund, Fluid.Capital, Vaultbank, and ZED Network. Prior to co-founding Y2X, Dave was Managing Director at Paxos/itBit. Previously, he was Managing Director, Alliance and Venture Management of CME Group Inc. and served as SVP and Chief of Staff for NYSE. He previously held leadership roles at Goldman Sachs & Co. in New York and Japan, and he spent over a decade as a diplomat in the U.S. State Department. Brad is an entrepreneur, investor, mentor, and advisor who has started and bootstrapped several companies from inception to maturity over the past 20 years. Brad is currently the co-founder and Managing Partner of Krowd Mentor, a strategic crowdfunding advisory firm focusing on ICOs, cryptocurrencies, blockchain, and token powered organizations. As the co-founder of Blockchain Investors Consortium (BIC) with over 5 Billion dollars allocated to blockchain and cryptocurrency projects and has access to extensive deal flow and experience analyzing disruptive technologies, Brad has participated in dozens of successful crowd sales, which have raised billions from 100,000s of investors since 2016. Brad also served as managing director of Yasar Corporation where he mentored, advised and invested in more than 50 companies. Passionate about where the worlds of technology and marketing collide, Brad is frequently invited to speak at events related to entrepreneurship, angel investing and business strategy. Most recently, he presented at EBAN, WBAF, d10e, NexChange and CoinAgenda. A big believer in coaching younger generations of entrepreneurs, Brad serves as a mentor for the Pepperdine Alumni Association. Michael Terpin has more than 25 years of PR agency management. He has directly supervised many renowned PR campaigns of the digital media era, including early-stage PR for America Online, Earthlink, Jupiter, Motley Fool, Match.com, and Shapeways, as well as full-service campaigns with established brands, including Alpine, AT&T, Diamond Multimedia, Fujitsu, JBL, Konami, Marriott, Memorex, Philips, Rackspace, Red Herring, and TEAC. In the blockchain sector, Terpin has led the PR efforts for more than 100 blockchain companies and foundations, including some of the leading token crowdsales. Client successes include the launches of Augur, Counterparty, Dash, Ethereum, Factom, Golem Network, Lisk, MaidSafe, Tether, as well as ongoing campaigns for Bittrex and Shapeshift. Terpin co-founded BitAngels, the world’s first angel network for digital currency startups, which now has more than 500 members globally. The service has two legs (auto-quoting and auto-hedging) each performed from the principal account of a market maker to the exchange. The auto-quoting process converts bid-ask quotes from external exchange market data feeds into orders to create liquidity. The auto-hedger leg of the process is a dynamic hedging and routing system that optimally liquidates positions resulting from the auto-quoting process. “The ability to generate instant liquidity in Bermuda for digital asset tokens that are actively trading in other markets is an important avenue,” says Julian Jacobson, President and Chief Operating Officer of Fundamental Interactions Inc. The liquidity platform is broadly compatible with any asset class but is primarily focused on tokenized assets and can be implemented as a plug and play liquidity service within FI’s virtual and nano exchange platforms, or it can be deployed as a stand-alone backend process for a market maker to intermediate between venues via FIX or Native API’s. The hedging process can be administered by an HTML5 interface that displays position views with P&L, slippage and risk management functions. NEW YORK, June 19, 2018 /PRNewswire/ -- Fundamental Interactions , and Y2X announced today the formation of an end-to-end service to digitize and trade multiple asset classes including securities tokens, debt instruments, real estate, art, and intellectual property rights. Known as Velocity Ledger, the system utilizes leading-edge blockchain-based technology already approved for trading by the SEC and FINRA. Initial products at launch include U.S. securities tokens and real estate. NEW YORK, NY, July 10, 2018 (GLOBE NEWSWIRE) -- Seven Stars Cloud Group, Inc. (NASDAQ: SSC) ("SSC" or the "Company"), a leading global fintech firm focusing on digital asset production and distribution, today announced a long-term relationship and strategic licensing agreement with New York-based Fundamental Interactions, a world class provider of enterprise market center technology. “Our partnership with Fundamental Interactions represents a flagship opportunity in SSC’s ability to penetrate the tokenized security markets. We are thrilled to be working with Fundamental Interactions to harness the power of blockchain and spread the adoption of security tokens across industry.” said Bruno Wu. This press release contains certain statements that may include "forward looking statements." All statements other than statements of historical fact included herein are "forward-looking statements." These forward looking statements are often identified by the use of forward-looking terminology such as "believes," "expects" or similar expressions, involve known and unknown risks and uncertainties. Although the Company believes that the expectations reflected in such forward-looking statements are reasonable, they do involve assumptions, risks and uncertainties, and these expectations may prove to be incorrect. You should not place undue reliance on these forward-looking statements, which speak only as of the date of this press release. The Company's actual results could differ materially from those anticipated in these forward-looking statements as a result of a variety of factors, including those discussed in the Company's periodic reports that are filed with the Securities and Exchange Commission and available on its website (http://www.sec.gov ). All forward-looking statements attributable to the Company or persons acting on its behalf are expressly qualified in their entirety by these factors. Other than as required under the securities laws, the Company does not assume a duty to update these forward-looking statements. Velocity Ledger (VL) is a private blockchain enabled platform operated by Velocity Ledger Technology, Inc. which provides a platform for the generation of tokenized assets, secondary trading and settlement. 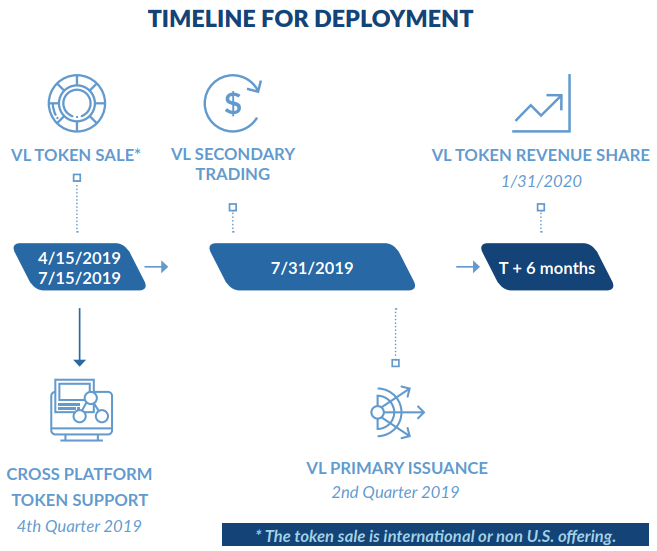 Velocity Ledger Technology, Inc. is a comprehensive technology solution that operates as a service with tools to support the investment and trading process for Digital Assets and Security Token creation and cryptocurrency. Velocity Ledger’s objective is to provide Software-as-a-Service (SAAS) which will eventually result in greater liquidity, real-time market pricing, cost savings, and transparency. Velocity Ledger is primarily a technology service provider of infrastructure supporting regulated digital asset businesses but will also operate a licensed Digital Asset Exchange in Bermuda. Rising to challenges and opportunities posed by regulation, technology, and market structure shifts – Fundamental Interactions develops leading enterprise market center technology platforms. 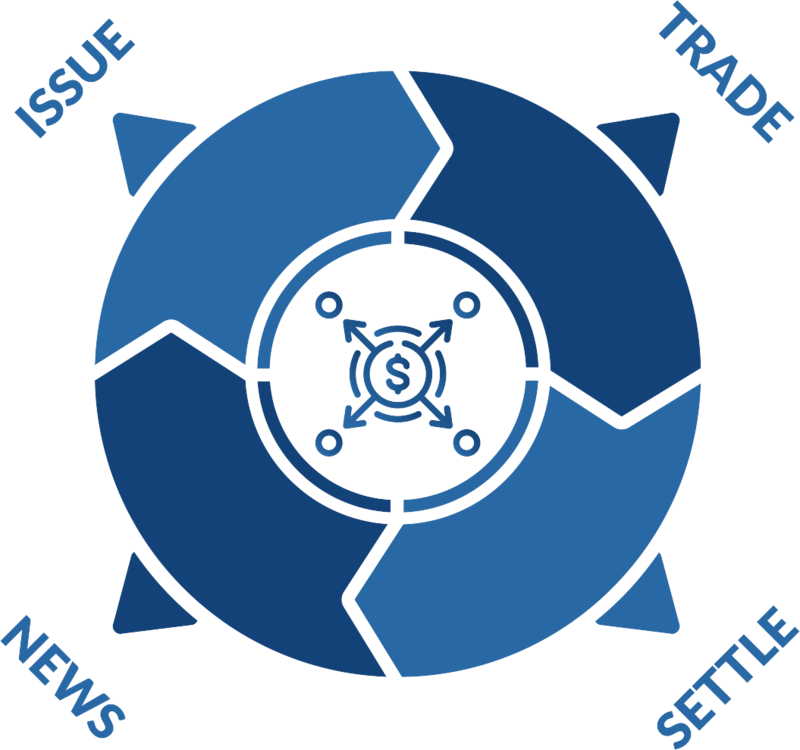 The system is deployed by securities exchanges, ATS systems, and inter-dealer brokers across a variety of asset classes and geographic regions. Established by a group of veteran executives, technologists, and entrepreneurs, Y2X specializes in regulated token issuances and innovative capital raising mechanisms. Y2X maintains stakes in companies it helps finance and utilizes its network of expert advisors to help those companies grow. Prime Trust is a technology-driven trust company unlike anything else in existence. We are doing to the traditional trust industry what Paypal did to merchant processing; completely disrupting it by writing software that brings services to the masses and that business partners can build on top of. As a chartered, regulated financial institution we are overseen by the banking commissioner’s office at the Financial Institutions Division. As a trust company we hold cash and non-cash assets such as stocks, bonds, Bitcoin and other cryptocurrencies, tokens, real estate, and private business ownership interests. We act as custodian and trustee for a wide variety of personal and corporate trusts, as well as a major part of the crowdfunding industry, and work with individuals, corporations, lawyers, brokers, investment advisers and others on holding and managing specialized custodial, escrow and trust services. Our team has deep experience in all facets of trust operations, banking, securities regulations, and governmental affairs, and we have our own team of full-time, in-house, security-vetted engineers. Together we deliver world class solutions and services to individuals and corporations of all sizes to keep them protected. Member, American Bankers Association and Nevada Trust Company Association.